When quality counts, count on Garage Door Doctor – West Houston. We are your solution to all your garage door problems. We can fix almost any garage door and if it is necessary to replace, we always use high quality garage doors. We have been serving the West Houston area for over 25 years. We service all of West Houston including , Memorial, Bellaire, River Oaks, West University, Spring Branch, Bunker Hill, Westchase, Royal Oaks, Meyerland, Heights, Sharpstown, Rice Military, Galleria, etc. We always go the extra mile for our customers. We thoroughly check each garage door and opener to prevent future problems as well. We are offer same day service and weekend service at no extra cost. When your garage door breaks, please call us at 281-578-7659. Also you can prevent some problems by having having a tune-up done yearly. We tune up your garage door and opener to help them run as smooth as possible. This can prevent costly repairs in the future. 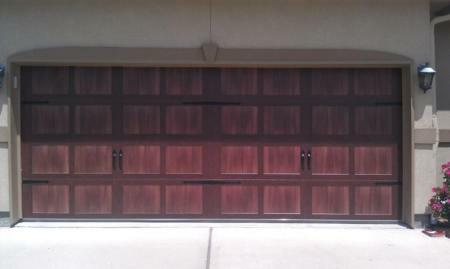 Garage Door Hinges, Track, Rollers, Cables, ect..
You can always depend on Garage Door Doctor no matter what the problem. Broken garage door spring, broken cables, garage door caving in, chain falling off garage door opener, garage door out of the tracks – no matter what the problem, we are your West Houston garage door supplier.